The area around Liverpool Street Station is festooned with average pubs. The Bull is not among their number. It dates back to the 17th century and occupies a plot previously held by any number of Lords, Ladies, Dukes and knights. 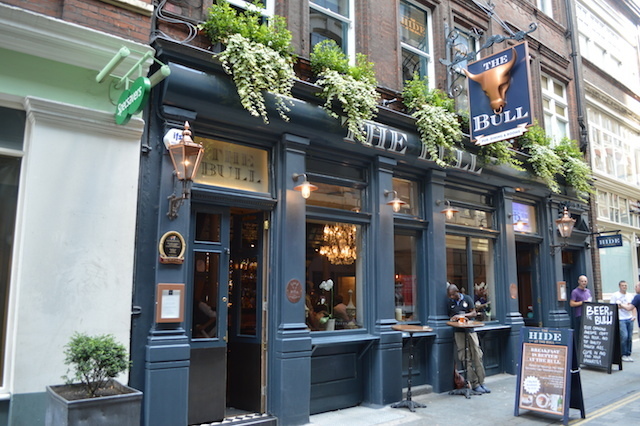 Concealed down an alley away from the tourist areas, the Bull is a delight to stumble across. 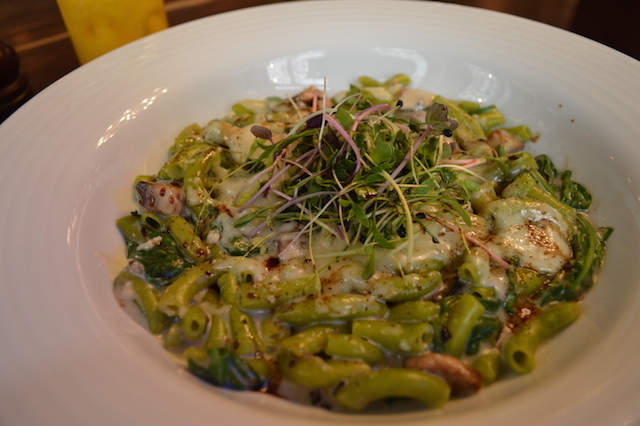 A resent refit offers a setting to impress drinkers and diners alike. The first cohort will revel at the selection of beer. 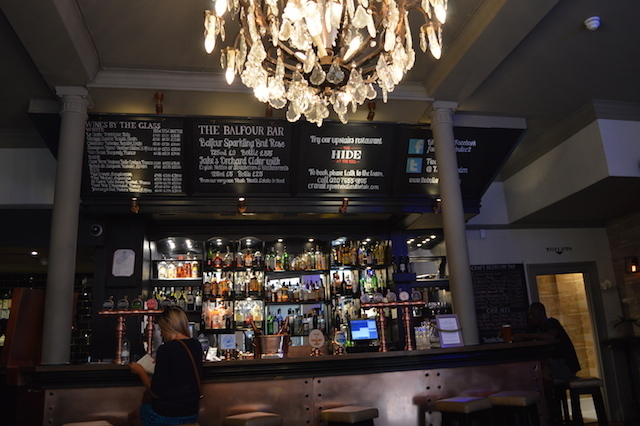 Four first-rate and regularly changing cask ales and numerous keg taps adorn the copper-topped bar. The orange metal theme continues round the room's fittings, while seating is handled by cosy leather banquettes Diners can choose from a competent pub menu, or head upstairs to the comfortable Hide restaurant (despite its name, the Hide has better vegetarian options than the downstairs pub). 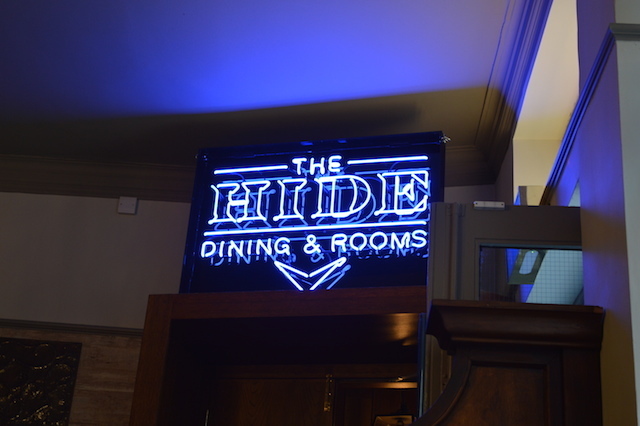 The place also offers accommodation — handy if you've missed that last train home. 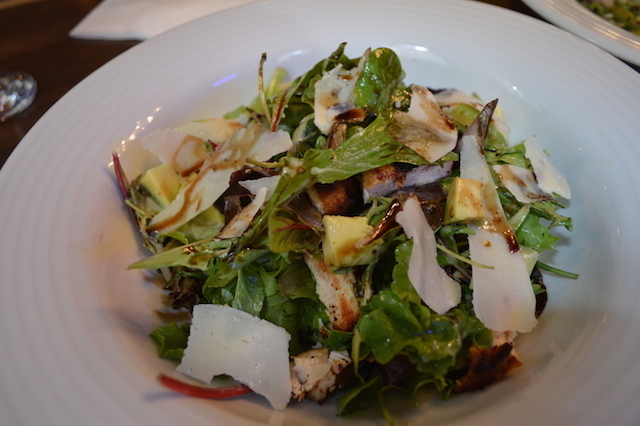 A chicken salad that had very generous amounts of meat.